When confronted with a loss, many policyholders find themselves in a two-front battle. First, they face the plaintiff’s attorneys, who in addition to wanting to recover as much as possible for their clients, also often seek an enormous fee. Second, if the insurance company reserves its rights to deny coverage, the policyholder faces a dispute with the insurance company. This raises bottom-line questions: Who pays the plaintiff’s attorney fees when a loss affects your organization? And who pays the attorney fees related to contesting a dispute with your insurance company? Who picks up the plaintiff’s tab? The plain language of third-party liability policies very likely supports the award of attorney fees to plaintiffs in an underlying action. 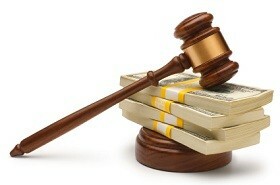 Further, the absence of an exclusion for plaintiff’s attorney fees shows the intent to cover those commonplace damages. If necessary, policyholders also can rely on the rule of construction that ambiguous terms in an insurance policy are construed in favor of the policyholder. Even where no other part of the claim is covered a policyholder may recover the plaintiff’s attorney fees, and courts have rejected a number of public policy-based challenges to insurance coverage for plaintiff’s attorney fees. Who pays for the insurance recovery fight? When your insurance company denies a significant claim, be aware that a majority of states have useful precedent that may support an argument to require the insurance company to pay for the insurance coverage fight. The rationales and precise functioning of these rules differ according to jurisdiction. Some jurisdictions currently have rules that are not particularly policyholder-friendly, and other jurisdictions currently are silent on the issue. Some courts have ruled that policyholders should be permitted to recover for in-house counsel expenses at least as broadly as outside counsel fees in a successful insurance coverage action. Moreover, an increasing number of courts are finding that when the insurance company wrongfully refuses to defend and then contests the amount of defense costs, the fact that the policyholder has paid its own legal fees in the underlying litigation is prima facie evidence of their reasonableness. For a more detailed discussion of attorney fees and liability insurance, our recently published commentary in Westlaw Journal appears here. A link to a state-by-state list of helpful authority for policyholders seeking to recover attorney fees they incur in insurance coverage cases appears here.